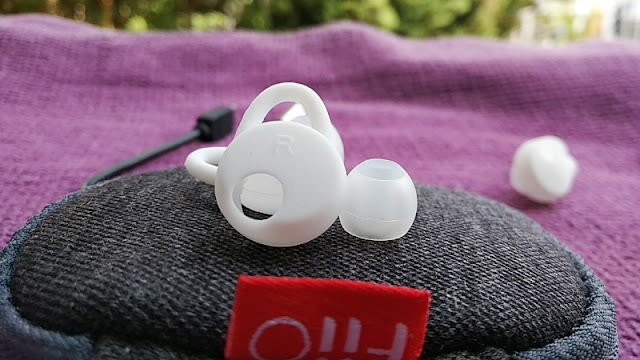 Bass lovers on a budget looking for reverberating bass heavy bluetooth earphones don't have to spend a ton of money these days! 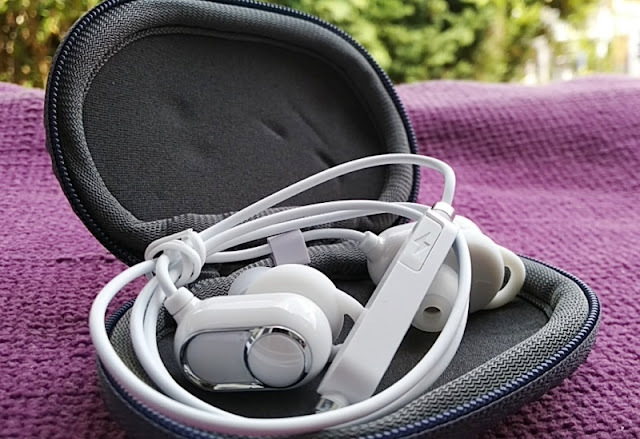 And, there are plenty of good choices out there to choose from aside from over-the-ear headphones which are not the only option for those looking to listen to bass heavy music on the go. 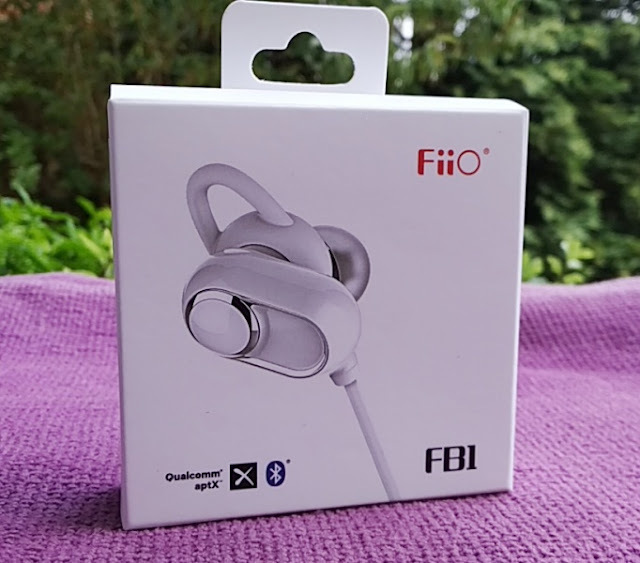 Bass heavy bluetooth earphones such as the FiiO FB1 are a solid alternative to more expensive headphones, offering superb sound with quality construction and without the high price tag. Inside the FiiO FB1 housing, you get huge 13mm speaker drivers with a flat response so you get a natural sound reproduction across the 20hz-20khz audio spectrum. 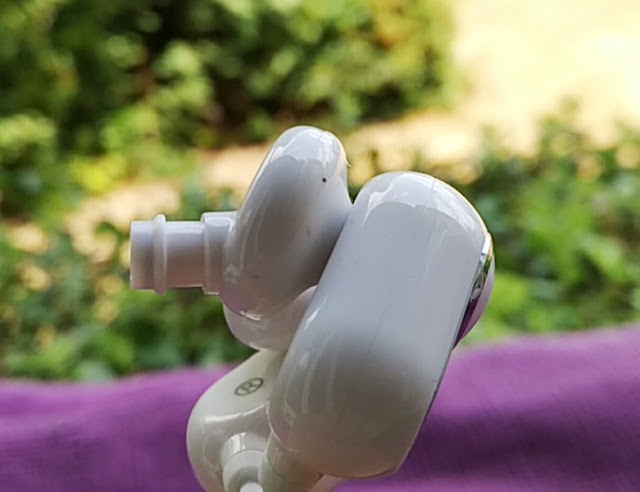 The frequency response performance is very good as the FiiO FB1 earphones are able to reproduce balanced low bass and high treble frequencies at the same volume level. The overall volume max level is very loud which is great when exercising in the gym. 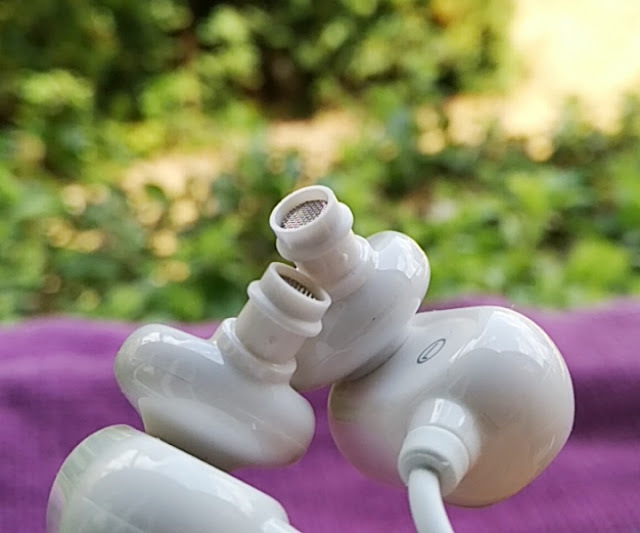 The FiiO FB1 bluetooth earphones support the latest bluetooth audio codecs including Qualcomm aptX, SBC and AAC which is the same codec used by Apple's iTunes platform, iOS devices and YouTube; hence you are abe to listen to AAC audio files with the FiiO FB1 earphones when ripping CDs in iTunes. 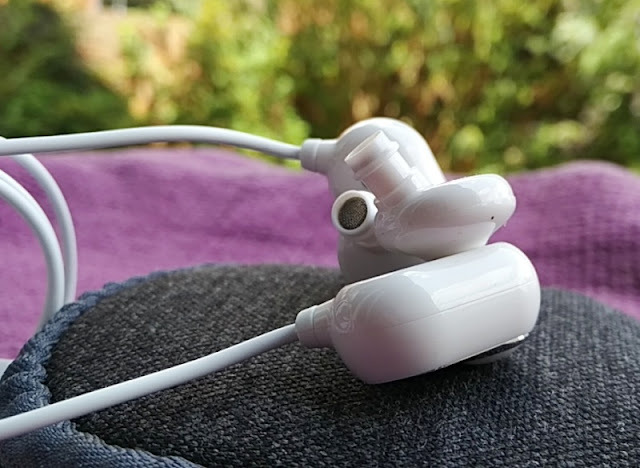 The listening experience is very good on both Android and Apple phones as AAC offers similar sound quality to aptX which is not supported by iOS devices. 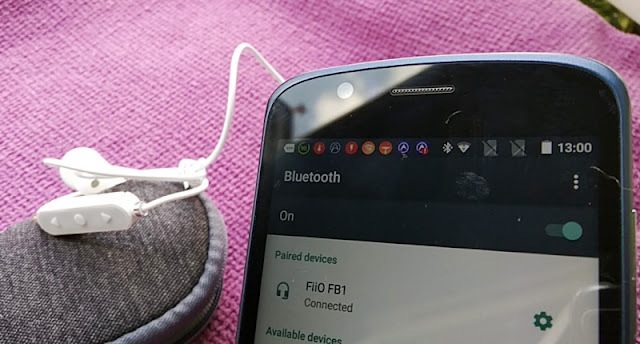 Talking about sound, it is delivered via Bluetooth 4.1 transmission which offers stable bluetooth signal and lower battery consumption. 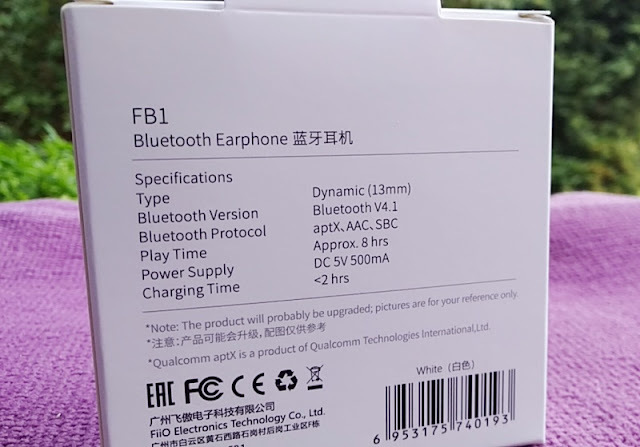 The bluetooth chip is able to boost the bluetooth signal to a whopping 20-meter (65ft) range in direct line of sight, which is twice as long as the standard 10-meter range most bluetooth earphones offer. 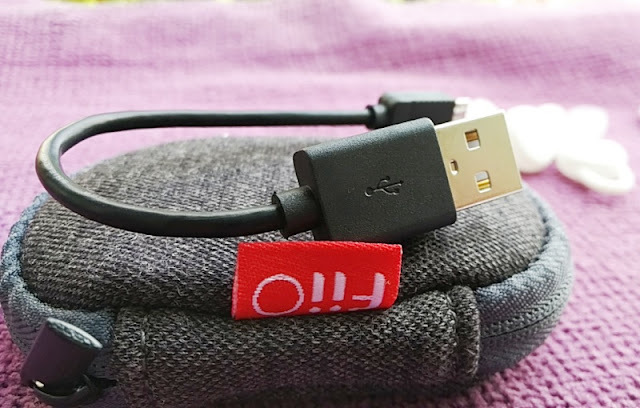 On a full charge (two hours), the FiiO FB1 bass heavy bluetooth earphones deliver between 7 hours and 8 hours of playtime/talk time thanks to a 110mAh lithium polymer battery. Fast charging is also integrated in the FiiO FB1 bluetooth earphones so 10 minutes of charging can deliver 60 minutes of playtime. 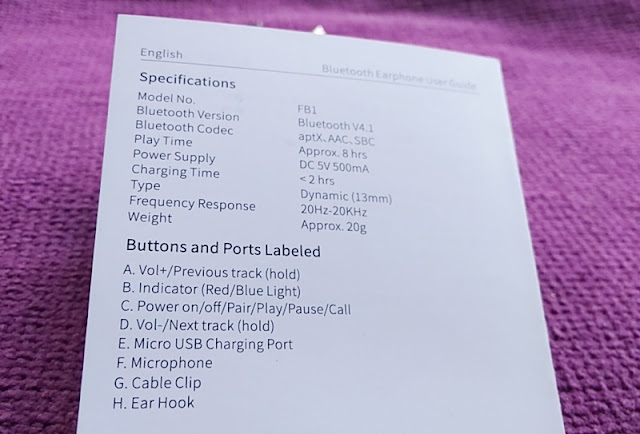 There is a microphone built-in to the back of the remote box that lets you answer calls hands-free wherever you are whether at the gym working out or on the train commuting to work. The microphone quality is clear with decent volume gain. 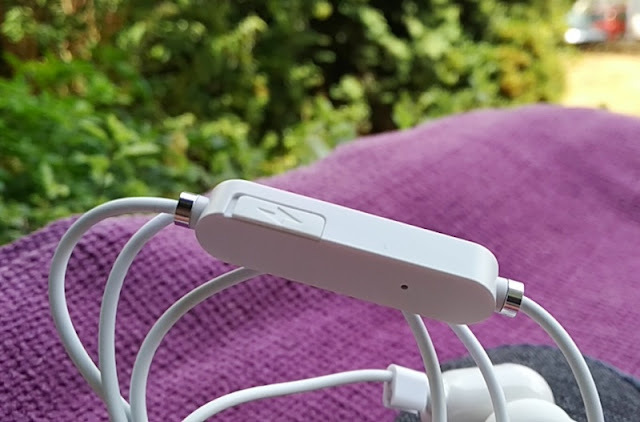 The remote box is located along the right earphone line (at neck level) and features an led activity indicator with three tactile raised buttons. 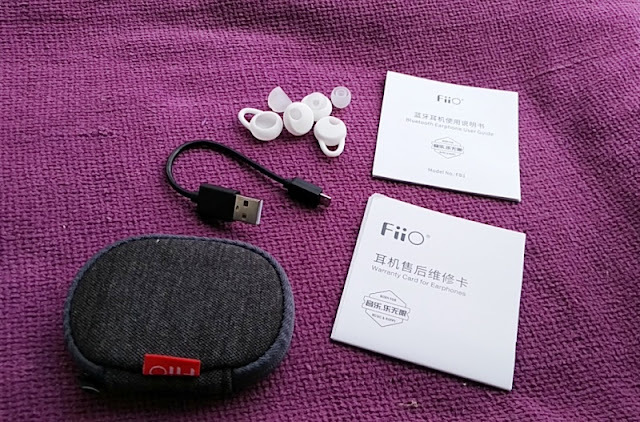 The buttons are protected by a silicone rubber outer layer, while the rest of the remote box is constructed with the same glossy white plastic the FiiO FB1 earphones are made of. The overall look of the FiiO FB1is sleak and fashionable and functional too because of the nano coating protection that prevents moisture ingression and scratching. FiiO FB1 earphones are IPX4 rated so they are sweatproof. 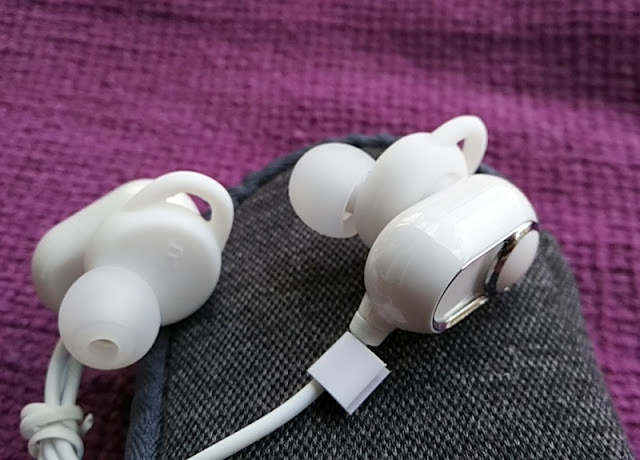 The FB1 bluetooth earphones look kind of bulky but they only weigh 20 grams and are comfortable on the ears. 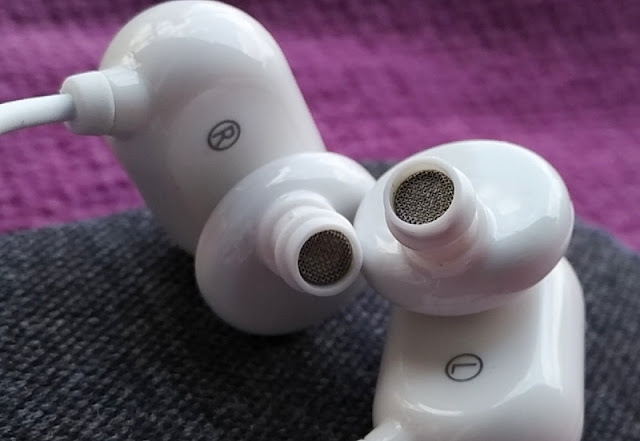 The nozzles are angled too so they fit like a glove inside the ear canal. 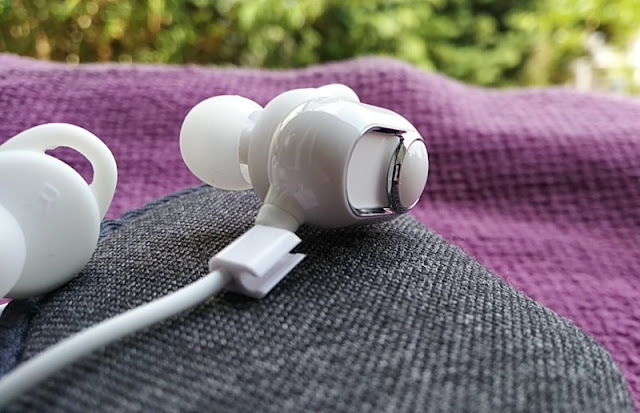 The ear-hooks fit inside the crease of the ear rather than over-the-ear but it's a functional addition that helps securing the earphones.